I really did enjoy the brief time that the room in the middle of my house was all nice and neat. 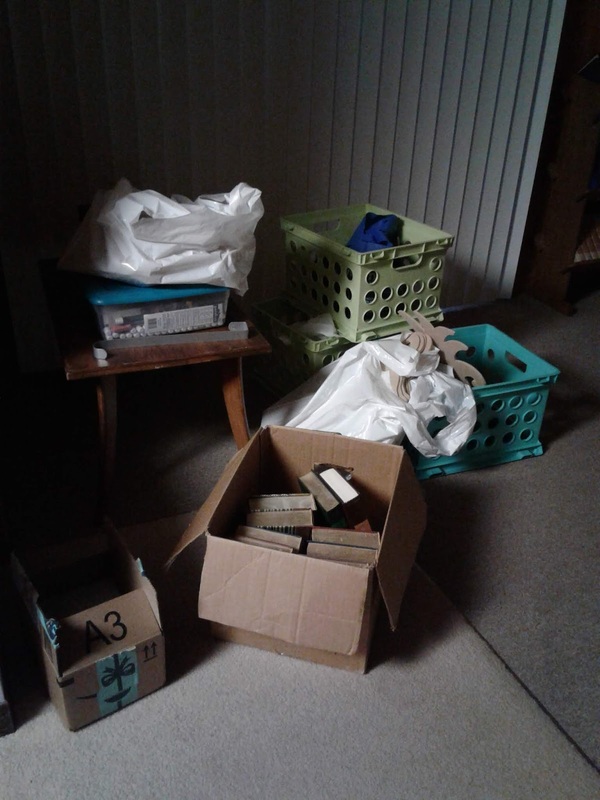 Nothing was in middle of the floor and both the kitchen table and desk in middle of the room were free from clutter. It only lasted a brief period of time. My craft room hoard has overflowed into the area next to do the door. I've looked at it all week thinking about cleaning it up, but it's all just there. I worked in the office today to catch up on some things instead of taking care of this downstairs. I could have done some late night clean-up. The late night hours are when I do my best work. 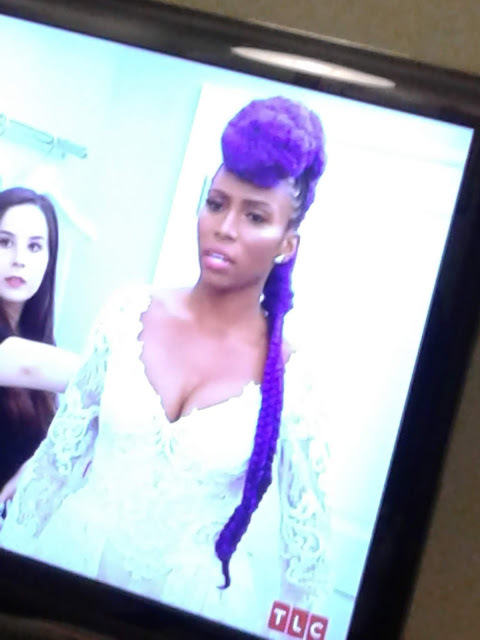 However, I turned on Live PD and Say Yes to the Dress where this woman looks like she has purple cauliflower growing on top of her head. 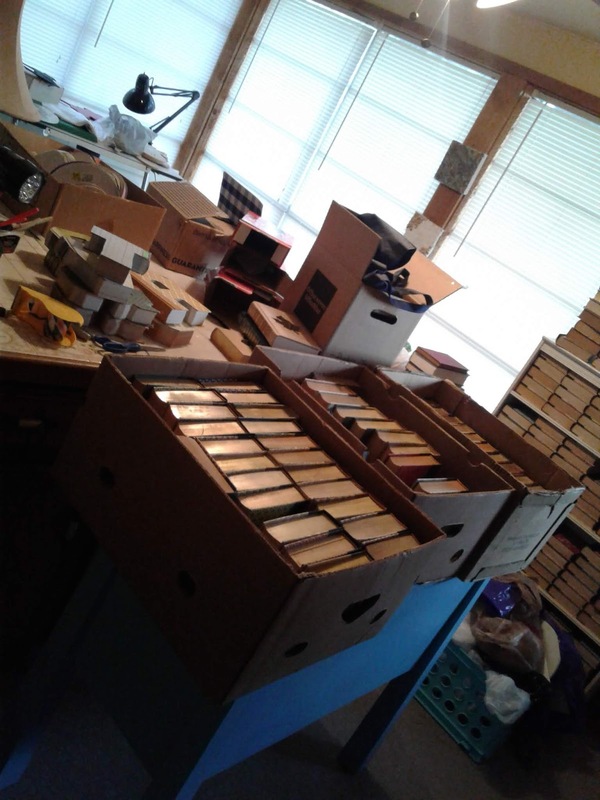 UPDATE: On Sunday I did put up the four boxes of books. That's because I have a significant order from e-Bay on the way that I really don't need, another smaller order and Dad bought some books this weekend. Oh, and some guy is giving us some.